Words cannot explain how incredibly happy I am that finals are over!!!! Literally, this has been my week summed up in a single picture. 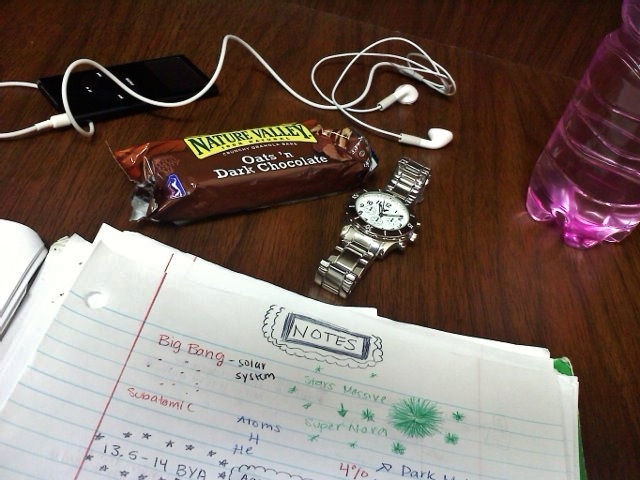 I pretty much spend every waking day I could just studying in the library and well, eating Nature Valley Oats n' Dark Chocolate. Seriously, that stuff is delicious!! Although I was struggling a little bit in my Environmental 101 class, the final was super easy! I literally took the test and in every question I was like, "Wow, I know this!" "OMG, I know this one too!". What can I say? Studying really pays off. Winning!